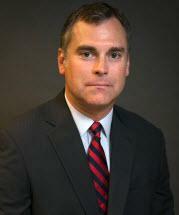 Mr. Frescoln is an experienced civil trial lawyer and leader of the firm’s civil litigation practice. He represents lending institutions, title companies, business entities, and individuals in contract, commercial and real property litigation. He has successfully litigated commercial disputes throughout Michigan in the Circuit Courts, Federal District Courts, and Court of Appeals. Prior to joining the Firm, Mr. Frescoln was associated with Swistak Levine, PC in their Corporate and Real Estate Section. After graduation from law school, he worked at The Kitch Law Firm in its Long Term Care litigation practice. Mr. Frescoln graduated from the University of Michigan in 1997 with a B.A. in history. During his years at Michigan, Mr. Frescoln was a four-year letter-winner on the Michigan hockey team and a member of the NCAA National Championship Team in 1996. Mr. Frescoln graduated from Wayne State University Law School in 2001. He was selected as a Rising Star in 2009, 2011, 2012, and 2013 through a peer review process managed by Super Lawyers magazine. He is a member of the State Bar of Michigan and is also admitted to practice before the United States District Court for the Eastern District of Michigan. Mr. Frescoln served a nine year term on the Executive Board for the University of Michigan Letterwinners M Club and remains active in the club. He is also a member of the Detroit Country Day School Alumni Council, at his high school alma mater. Mr. Frescoln lives in Northville, MI with his wife and two sons, and is an avid golfer with an unmentionable handicap.